When it’s time to hit the sack, you turn out the lights and get set to catch some Zs, but what position do you assume before you snooze? Are you on your back, side, stomach, or curled up with an extra pillow? Normally, you might consider it just a personal preference and think little of it; however, it can have a significant impact on your quality of sleep. What position you sleep in can be linked to problems like snoring, back pain, and how often you wake up in the middle of the night due to breathing difficulties. Snoring affects half of all adults at some point and is more common as we age. 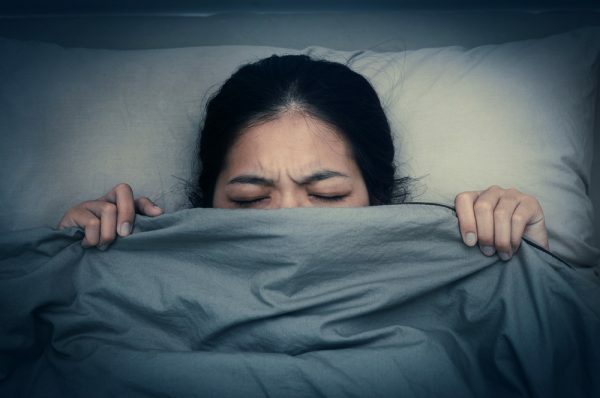 It’s not just annoying for the person next to them or in a nearby room; it can also disrupt their own sleep and lead to thickening of or problems with the carotid artery, which supplies blood to their brain, face, and neck. Snoring is usually caused by sleeping in a position known as the “soldier”—flat on your back, with arms by your side. Lying on your back causes the base of the tongue and soft palate to collapse to the back wall of the throat, which causes a vibrating sound during sleep. Sleeping on your side may help prevent this. A body pillow (a full-length pillow that supports the entire body) can also effectively enable you to maintain sleeping on your side. A 2004 study published by the journal Sleep and Hypnosis suggests that people who sleep on their left side are far more likely to have nightmares than those who sleep on their right. Conversely, the participants in the study who slept on their right side were more likely to have dreams related to relief or safety. But there’s an interesting catch: The same study also reported that the people who slept on their left side (the ones who had nightmares rather than comforting dreams) actually slept better, and were more well-rested than those who slept on their right sides. When sitting or standing up, your airways are vertically aligned, which allows your breathing to function freely. However, when lying down, the airways are horizontal, and gravity works against them, thus putting pressure on air passages, which can impede breathing. Sleep apnea occurs when the throat muscles in a person’s upper airways relax during sleep to the point that the airflow is completely blocked. When this occurs, the person will usually wake up with a feeling of choking or being suffocated. 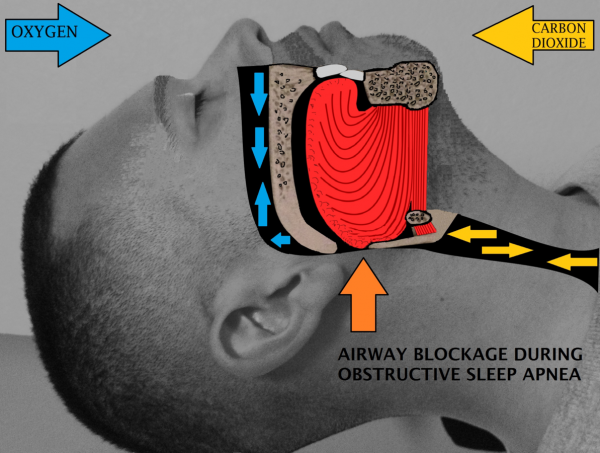 For those suffering from sleep apnea, this may happen many times a night, impacting their quality of sleep, and can even be fatal. Lying on your back is the worst sleeping position if you suffer from sleep apnea, as gravity forces the tongue to fall back towards the throat, making breathing even more difficult. As a safer alternative, try sleeping on your side to alleviate issues related to sleep apnea. For individuals living with back pain due to herniated discs or other orthopedic issues, you can find relief by sleeping on your side in the fetal position. Your discs are, essentially, soft cushions between the vertebrae of the spine. Herniation happens when a disc gets pushed out of its normal place due to pressure. Curling into the fetal position during sleep can open the space between the vertebrae, reducing pressure and preventing the disc from getting pushed out of position. Lay on your back and then roll over gently onto your side; tuck your knees toward your chest and gently curl your torso toward your knees. Switch sides from time to time to prevent any imbalances. If you’re a back sleeper, you can also relieve back pain without changing your sleep position simply by placing a pillow underneath your knees and keeping your spine neutral to maintain the curve in your lower back. You can also place a small, rolled-up towel under the small of the back for more support. 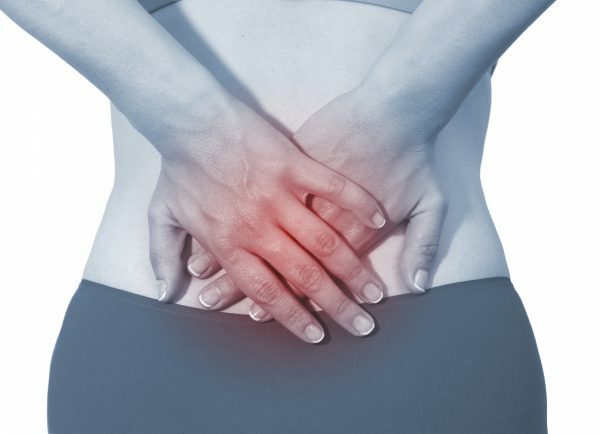 Hip pain, also known as “runner’s hip,” is a condition that usually occurs after working out. It can wake you up during the night or make it nearly impossible to fall asleep in the first place. If you regularly wake up at night from hip pain, the way you’re sleeping or your mattress could be to blame. Try out another bed to see if that relieves the pain, because a mattress that’s too soft or too hard can trigger pressure points, which may lead to a sore hip. Or it could be that your sleeping posture is the problem. Try sleeping on your back, which may give your hips a break from the near-constant stress of walking and sitting all day. If you’re a side sleeper, try sleeping on the side that doesn’t hurt and put a pillow between your knees to keep your hips aligned. Up to 60% of adults experience leg cramps at night, according to American Family Physician. 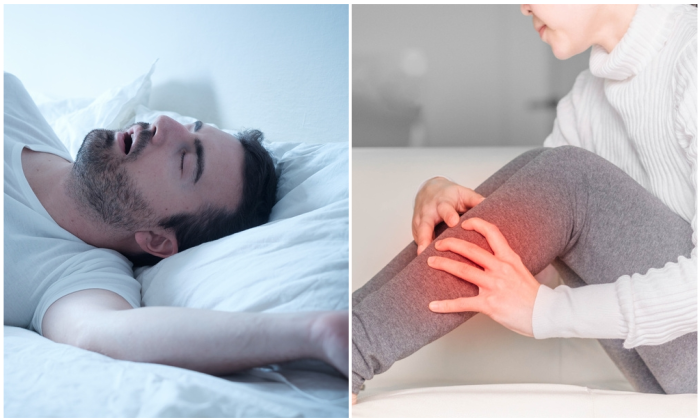 A leg cramp can strike when you’re asleep, but it can also occur while you’re lying awake in bed doing nothing. Although the muscle may relax on its own in under 10 minutes, your leg might feel sore or tender for a whole day afterward. It is more commonly seen in adults in their fifties, but it affects younger people as well. Sitting or lying down for long periods of time can trigger nerve malfunctions in the legs. That’s why we tend to get cramps in the middle of the night. Avoid sleeping in positions where your feet are pointed downward. Sleeping on your back with a pillow behind your knees will allow you to keep your feet and toes straight while you sleep. Also, instead of heavy or tightly tucked-in bedding that could push your feet downward, try a loose blanket with untucked sheets.